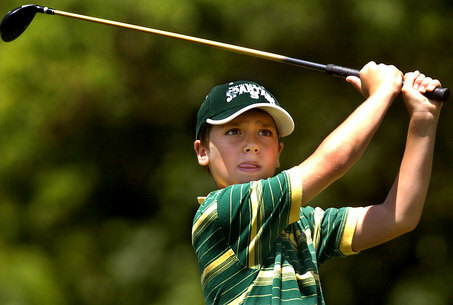 The competition culminated in the finals being held at Augusta National the week of the Masters, which got the attention of youth golfers everywhere – and their parents. Seeing the finalists on television at the Masters, including 11-year-old Lucy Li, who played in last week’s LPGA U.S. Open, has already sparked a rise in this year’s turnout. To handle the anticipated increase, the Southern California PGA has expanded the number of Southern California local qualifiers from 10 to 14, including one for the first time at Encinitas Ranch on July 7th. Finalists in the four age divisions for boys and girls at Encinitas Ranch will advance to a sub-regional on Aug. 18th at La Costa Resort and Spa and then on to Torrey Pines on Sept. 13th to compete for the trip to Augusta. Matt Gilson, Player Development Manager at the Southern California PGA, took a few minutes recently to answer some questions about this year’s competition. Q. Southern California had two winners at last year’s inaugural competition at Augusta. What was their experience like? Q. How much has seeing all that one TV stirred interest this time around? Sign-ups were a little slow because we were competing with school, but they’re starting to pick up. We’re definitely seeing an increase in participation. And I’ve seen kids who’ve never picked up a club before now going to the range the week before. There’s definitely motivation there with kids realizing they could end up on TV. Q. Besides the increased number of qualifiers, how has the competition changed in year two? And what are the age categories? Last year, we maxed out our qualifiers at 120 participants and this year it’s 200. The age ranges are 7-9, 10-11, 12-13 and 14-15 with both boys and girls division. And those ages are determined by how old they would be on April 5th, 2015, which is the date of the national championship, so the youngest age to enter would be 6 if they would but 7 on or by April 5th, 2015. Q. How does the competition work? It’s a nine-shot competition that starts with putting. There’s a 6-foot putt, a 15 foot and a 30 foot. The hole is surrounded by scoring rings that provide points for how close they get. The max is 25 points for a holed putt. They then have three chip shots, from about 12-15 yards, to a hole with scoring rings out to 10 feet and a make, again, is worth 25 points. Then they have three swings on a 40-by-300-yard grid on a driving range. Beyond 300 yards is 25 points. The highest total score wins and the top three in each age division advances from that age group’s qualifier to the next round. The top two in the sub-regional advance to Torrey Pines and the boy and girl winner in each division advances to the championship at Augusta. Q. How do players or parents register, and how much does it cost? Registration is free, and players sign up at www.drivechipandputt.com. Q. What’s the atmosphere like at these events? It’s competitive, but we still want kids to have fun. That’s the most important thing.